I am very honored to be named a VMware vExpert again, this is my fifth time…..Congratulations to all those who made it in the vExpert list. As we all know that, we specify the guest operating system and its version during the VM creation. In case if you’ve specified the wrong operating system, version or upgrading the already installed guest OS then you will need to change the guest operating system version to reflect the same correctly in vCenter inventory. Here in my case we just upgraded the operating system of our last remaining Server 2003 servers and want to correct the related guest OS info in vCenter inventory. From the Guest OS drop-down menu, select the guest operating system family. From the Guest OS Version drop-down menu, select the guest operating system version. If you select Other for the guest operating system family and Other (32-bit) or Other (64-bit) for the version, in the vSphere Web Client you are prompted to type a name for the operating system in the text box. Note: When you change the guest operating system type in the virtual machine settings, you change the setting for the guest operating system in the virtual machine's configuration file. To change the guest operating system itself, you must install the new operating system in the virtual machine. Inability to select virtual hardware such as enhanced vmxnet, vmxnet3 or number of vCPUs. Inability to activate features such as CPU and Memory Hot Add. Inability to activate Fault Tolerance. Lately while storage team was planning to upgrade the storage system OS, during initial checks they found there are some ESXi hosts in the environment having an old version of hba driver so, they sent their recommendation to upgrade the hba driver to a minimum supported version or later. 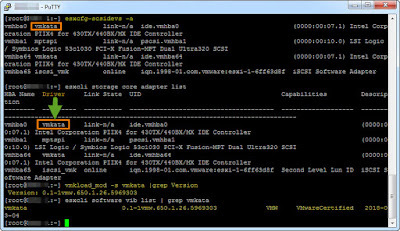 Now here is the point, while planning to upgrade the hba or any other device driver always make sure to check and upgrade the firmware of the device to a compatible version as well otherwise you might face some serious performance and related issues (better to upgrade the device driver and firmware at same time). 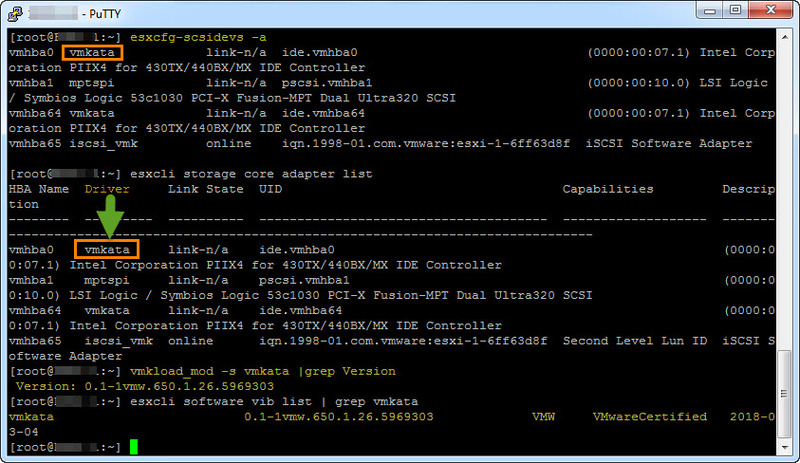 One can check and verify the IO devices firmware/driver compatibly and ESXi support information on VMware Compatibility Guide Site. Now here are the steps to check the installed firmware/driver version of any connected hba device. The second column of the output shows the driver that is configured for the HBA. 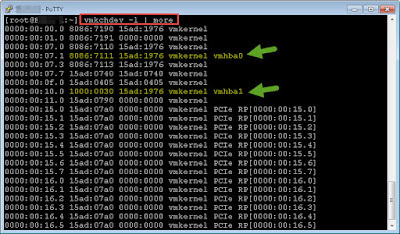 The output of the cmd will show you the installed hba firemware & driver version. To check the information when legacy driver is being in use. Go to /proc/scsi directory and look for lpfc (for emulex) or qla (for qlogic) or bfa (for brocade and sometime for qlogic as well). 1. 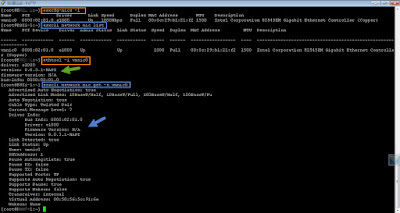 Open a console to the ESXi/ESX host. Note: The second column shows the driver that is configured for the HBA. or you may also use following cmd. This will show you the driver version of hba. This is something which you may need to check while troubleshooting a network card related issue on ESXi host and want to cross verify the vmnic driver / Firmware version compatibility with VMware HCL. 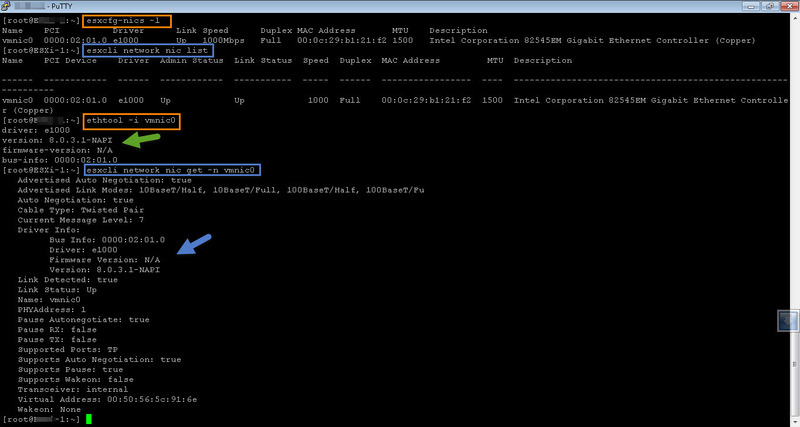 Once you identified the required vmnic name, then use one of the below command to get firmware and driver detail. Here the Firmware version is listed as N/A just because the screenshot is taken from my nested lab.